Locally made beer brings out the crowds in the White Mountains of New Hampshire. Mistake our area as sleepy, only to find local breweries full of people having a great time. The White Mountains has an active local music scene and there is never a shortage of something fun to do. During the summer, people wait for a table at our breweries to enjoy treats like woodfired pizza and a new flavor of beer. If you haven’t had much exposure to microbreweries, it’s fun to discover the taste of beer can range from chocolate to a subtle taste of berries. Thirsty customers regularly stop into our breweries to buy large jugs and cans of their favorite beers. The Sugar Hill Inn will be hosting a beer dinner in conjunction with Moat Mountain Brewing on Thursday May 9th. Enjoy a welcome sample and hors d’oeuvres followed by a 5 course dinner paired with beer from Moat Mountain. $80 per person. Call 603-823-5621 for reservations. The Iron Furnace Brewing – Named for 1800’s metal producing furnace located along the nearby Gale River, we’re lucky to have great food right around the corner from the inn. The Iron Furnace produced the metal farmer’s tools and metal for stoves that heated local homes. Franconia’s new brewery runs on the weekends. New England has its own style of beer known as NEIPA (New England IPA). NEIPAs lean toward a sweeter and less bitter taste. You’ll find the beer in our area’s signature style at Iron Furnace Brewing. Their menu also includes a list of snacks and entrees. The Schilling Beer Company is partially credited with revitalizing Littleton’s riverfront area. The Riverfront area allows guests to enjoy a meal with a view of the Ammonoosuc River. Situated in a restored Grist Mill, their menus focuses on beer’s European heritage. Staff at Schilling Beer Company are true beer enthusiasts who receive regular trainings about the breweries offerings and processes. 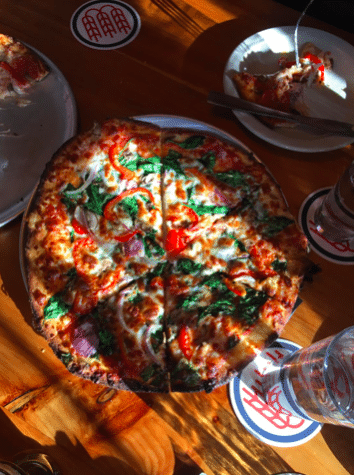 The Schilling Beer Company makes creative woodfired pizza that use local ingredients. Some of our favorite pizzas include the Chicken Maple Bacon Pizza and the Prosciutto Pizza. 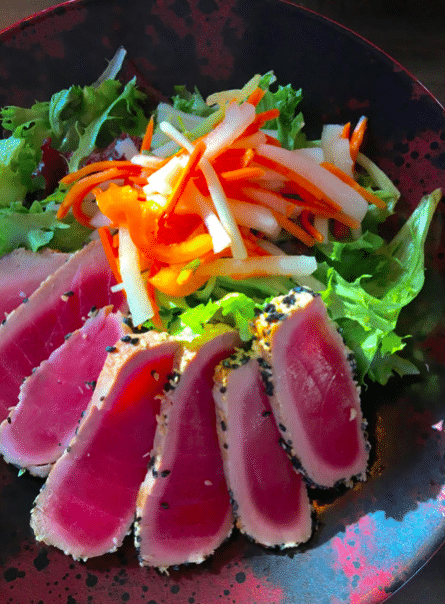 The Littleton Freehouse Taproom has a large entree menu ranging from macaroni and cheese to salads with grilled tuna on top. Their menu showcases locally sourced ingredients and beverages produced around New England. The owners converted a beautiful historic building into a welcoming restaurant that draws out locals as well as tourists. Try ordering a variety of tacos to share with your friends. 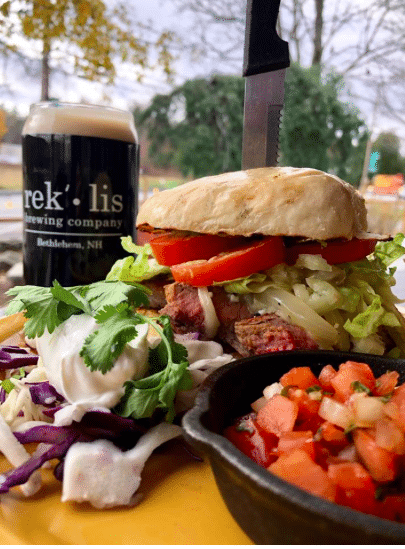 Rek-Lis Brewing Company is located in Bethlehem, New Hampshire. Bethlehem, New Hampshire is a beautiful town full of artisan shops. It short drive from the Sugar Hill Inn. Rek-Lis Brewing Company offers guests the opportunity to try a flight of their beers brewed in-house, which you won’t be able to anywhere else! The chalkboards offer a great description of each beer so you can make the right choice. The Brewing Company serves a wide variety of dishes prepared with fresh ingredients. Try their delicious sandwiches, burgers, and burritos. Whether it’s your first romantic holiday away together, a second honeymoon or parents that just needs a break, the Sugar Hill Inn is a Child Free Zone.